Who doesn’t love a little appetizer before a meal? Be it bread and butter, chips and salsa, or a bowl of soup, it is always on the agenda when dining out. Here at Farm Stand it is no different- we love them! One we particularly adore and would like to share with you today is the Middle-Eastern dip, hummus. 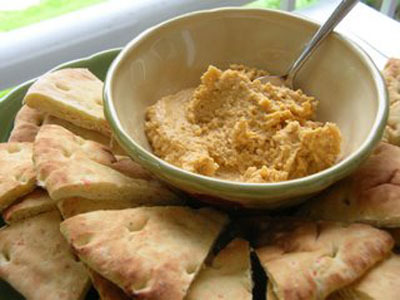 Made primarily of chickpeas or garbanzo beans, hummus is a thick (but light in flavor!) dip that goes with anything from pita, to vegetables, or even as a spread on a sandwich! Here we are going to give you a quick and easy recipe to make your very own hummus at home. 1) Drain chickpeas and set aside liquid from can. Combine remaining ingredients in blender or food processor. 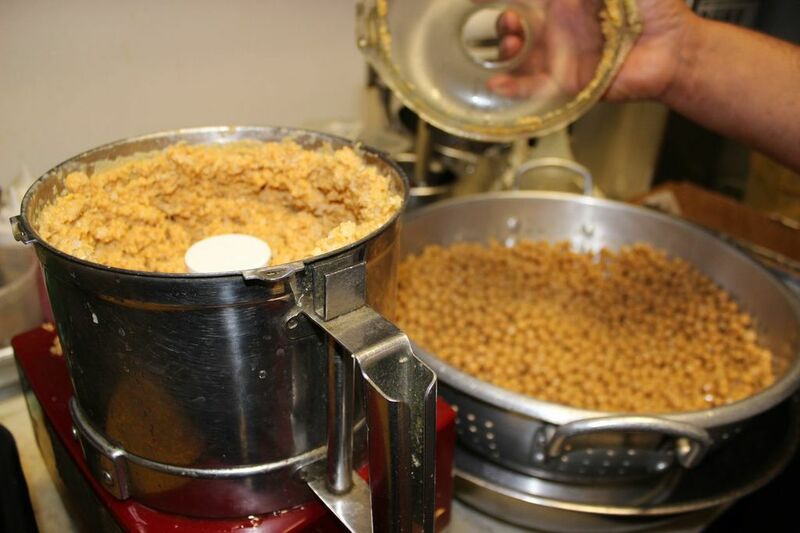 Add 1/4 cup of liquid from chickpeas. Blend for 3-5 minutes on low until thoroughly mixed and smooth. 2) Place in serving bowl, and create a shallow well in the center of the hummus. 3) Add a small amount (1-2 tablespoons) of olive oil in the well. Garnish with parsley (optional). 4) Serve immediately with fresh, warm or toasted pita bread, or cover and refrigerate. Ta-da! And you have your very own hummus! You can officially skip the bag of salty chips when you get those little food craving that we all have- this healthy snack is sure to become your new favorite. Enjoy! Tags: appetizer, dip, el segundo, farm stand, healthy, hummus, organic, snack | Permalink. 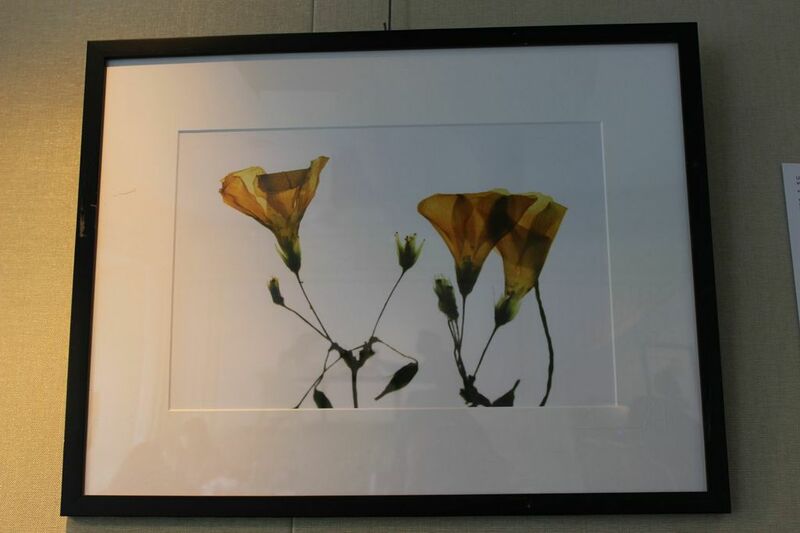 Have you been admiring the beautiful artwork we have displayed throughout Farm Stand? They are all photographs by youths of Los Angeles as part of an exhibition by Venice Arts! Founded in 1993, their mission is to ignite youths’ imaginations, mentor their creativity, and expand their sense of possibility through high-quality, accessible arts programs, with a focus on photography, film/video, and multi-media. Their programs also serve as a catalyst for people of all ages, living in low-income or underrepresented communities, to create and share personal and community stories through photography, film and multi-media. 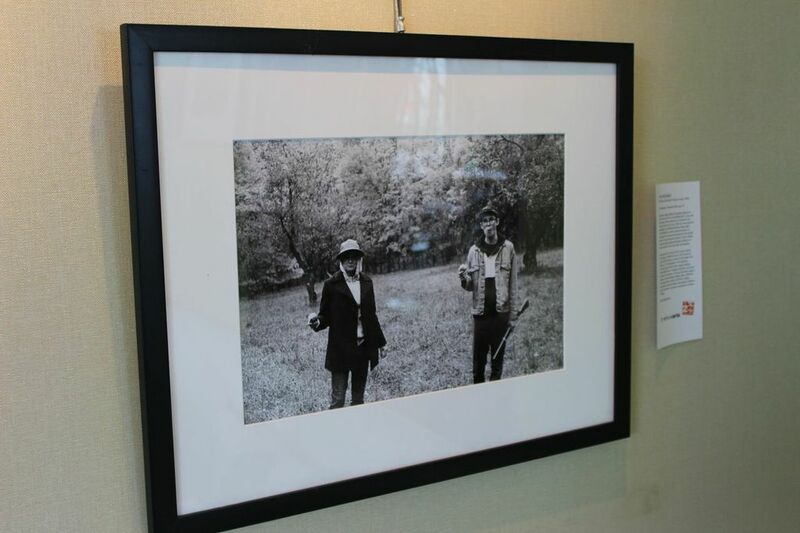 The photographs in this exhibition represent a small selection of the many thousands of images that their participants have over produced over their 20-year history. Be sure to check it out the next time you come in to Farm Stand, and maybe even purchase a piece as a lovely addition to your home! You can also find out more about Venice Arts or make a donation to support their programs at www.venicearts.org. Tags: art, community, el segundo, farm stand, give back, venice arts, youth | Permalink. Mother’s Day is just around the corner, and we can’t think of any better way to brighten her day than with a presentation of fresh, beautiful tulips! A Farmer’s Market regular, this flower can grow between 4 and 28 inches from a bulb, depending on the species. They also come in almost every color of the rainbow! 1) Remove any leaves that will be immersed in water after placing them in vase. 2) Cut the stem diagonally, while underwater, to prevent air from entering it and to allow the best conditions for the stem to take in water. 3) Every two days cut about one inch from bottom of stem to promote water intake. 4) Keep out of direct sunlight, heating vents, and drafty areas. 5) Add floral nutrients (from florist) to water for additional support. 6) Don’t forget to keep the vase clean and to replenish the water! Now only one question remains: what is her favorite color? For Los Angeles Farmer’s Market locations, click here. 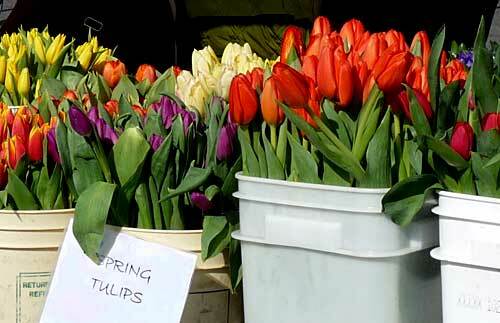 Tags: el segundo, farmer's market, farmstand, flowers, gift, los angeles, mother's day, tulips | Permalink. An ingredient we commonly use here at Farm Stand is the miracle herb turmeric! Dating back to ancient India for medicinal use, this amazing light orange herb, from the ginger family, is known for its turmeric anti-inflammatory and anti-oxidant properties. –Increases liver function: Your liver is necessary in eliminating toxins from your body. Studies show that an increase in liver function can aid in diminishing the growth of cancer cells for cancers such as Breast Cancer, Lung Cancer, Colon Cancer, and Leukemia. –Decreases Arthritis or Joint Pain: turmeric works to destroy free radicals in your body, which are responsible for damaging body cells. –Anti-bacterial and anti-inflammatory agent: When boiled with coconut oil in a saucepan, the combination works well when applied (after it has cooled down!) to a wound or rash as a natural anti-bacterial or anti-inflammatory remedy. Be careful though, be sure you are not allergic to turmeric before trying this method! 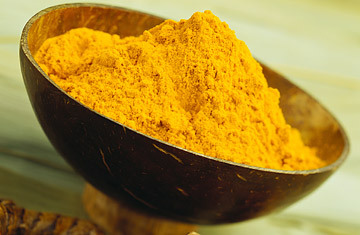 –Aid in preventing cardiovascular disease: Turmeric contains vitamin B6, which regulates homo-cysteine levels. Homo-cysteine is directly responsible for damaging body cells. Through interaction with the liver, turmeric lowers the cholesterol levels in the body, which aides in preventing most cardiovascular diseases. These are only a few of the many health and healing benefits of turmeric… Have we convinced you of its powers yet? Add turmeric to your diet at home: This earthy yet pepper flavor of the turmeric is great as an extra spice to your vegetables, eggs, or meat dishes! It is also great in tea: Bring four cups of water to a boil. Add one teaspoon of ground turmeric and reduce to a simmer for 10 minutes. Strain the tea through a fine sieve into a cup, add honey and/or lemon to taste. Stay tuned for more Superfood Highlights on our blog! Tags: clean eating, farm stand, health, herbs, natural, organic, superfood, turmeric | Permalink.